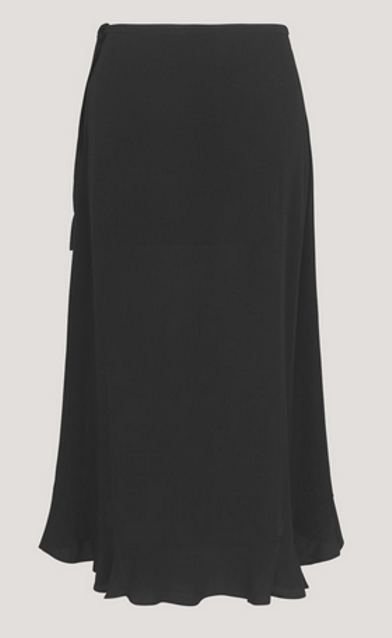 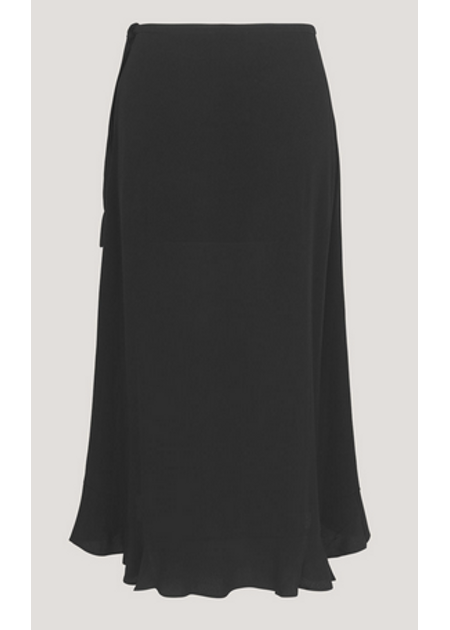 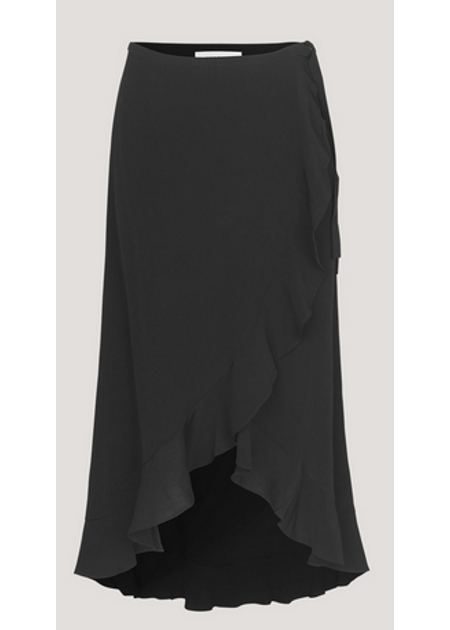 Simple and feminine wrap-around skirt from Samsøe Samsøe. The skirt is finished off with fine ruffles at the edge of the bottom and front, for a nice movement in the skirt. 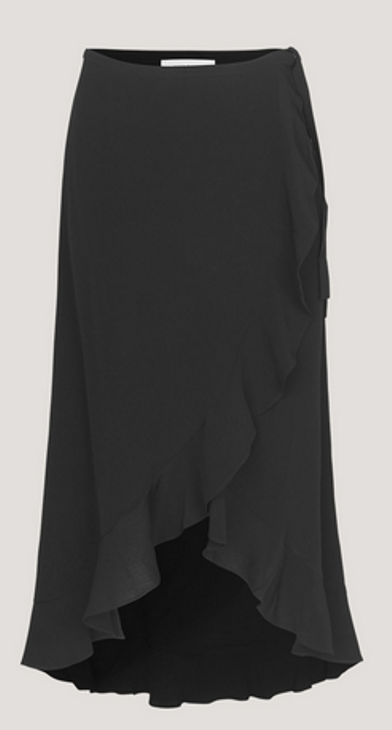 The model has a fine tie closure so it can be adjusted in the waist. Can be used everyday with a casual t-shirt and a pair of sneakers or for festive occasions with a nice top and a pair of high heels.